Signal Conditioning electronics provide RF coil and cable impedance matching, T/R switching and a first stage of amplification. Some boxes contain slots for separate Tuning Modules to match the RF Coil at a specific frequency as well as multiplexing capabilities. 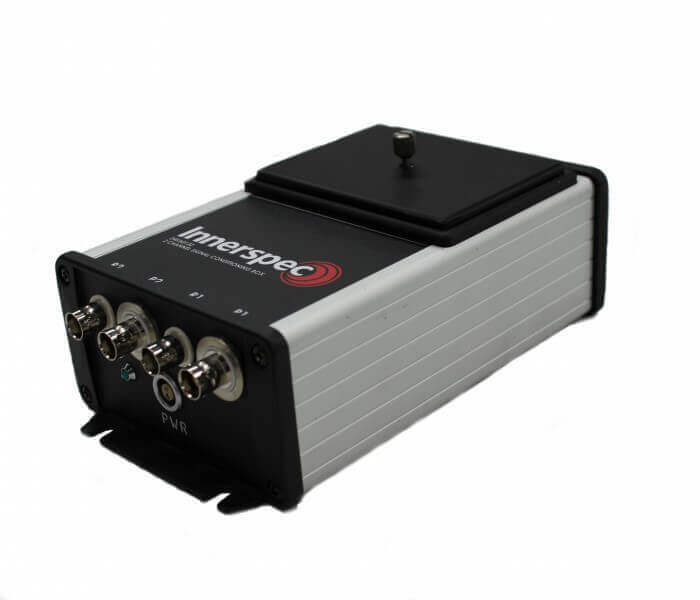 The external Signal Conditioning Box can be located up to 200cm from the sensors/RF Coils and 100m from the instrument. For the temate® PowerBox H the signal conditioning box attaches directly to the top of the instrument. Single channel without tuning module low and high frequency. Normally used for normal beam applications. Dual channel with separate slots for tuning modules with pulse/echo and pitch/catch capabilities. Single channel with slot for tuning module with pulse/echo and pitch/catch capabilities plus 1:8 multiplexer. 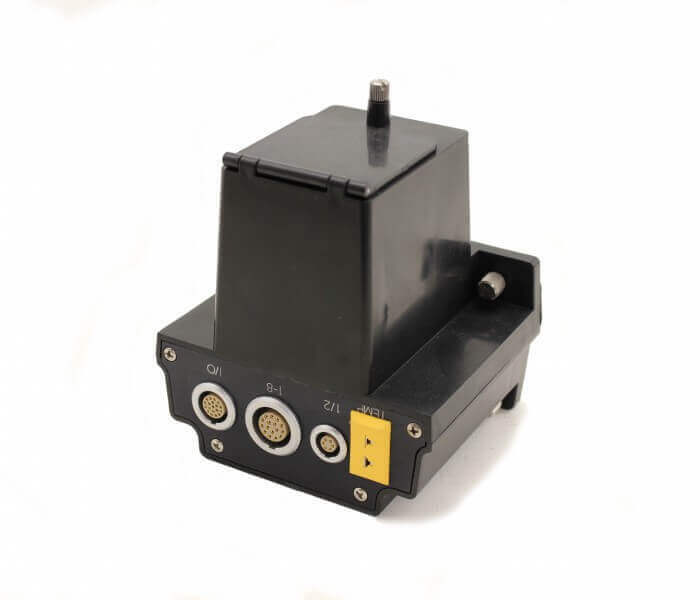 Eight channel for phased array pitch-catch (SH sensor). Eight channel for phased array pulse-echo (SV sensor). Single channel with separate slot for tuning module. Provides pulse/echo and pitch/catch capabilities. 1:8 multiplexer with slot for tuning module.